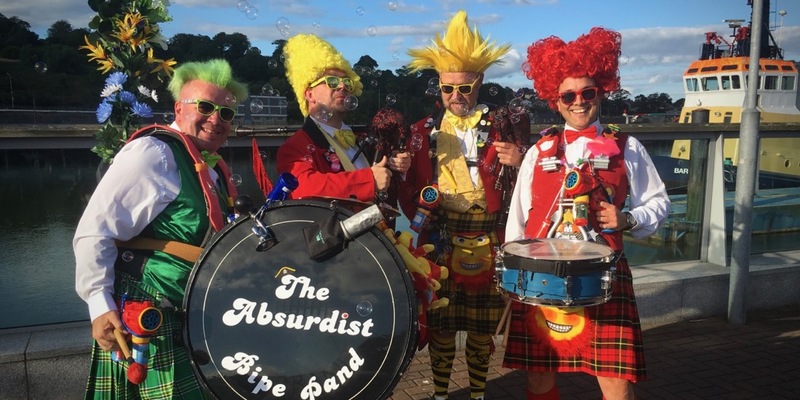 The Absurdist Pipe Band take pipes, drums and costumes and mix them with a dash of clowning to create an energetic package that is guaranteed to bring a smile to your face. 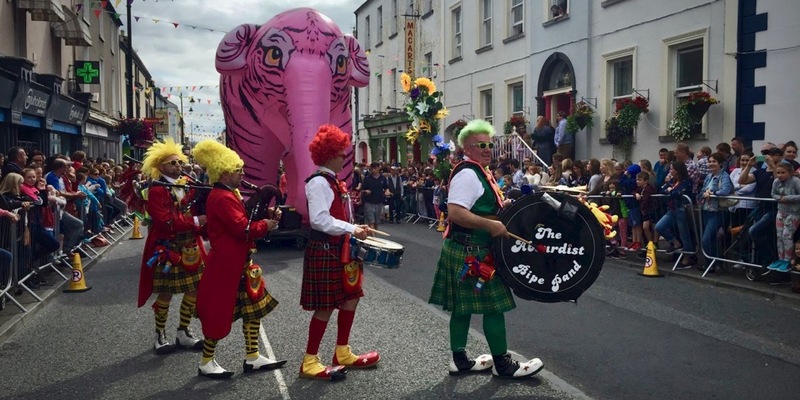 On the streets of your town, in the fields of your festival or in the middle of your dance floor, The Absurdist Pipe Band love nothing more than wandering around and entertaining the crowds. 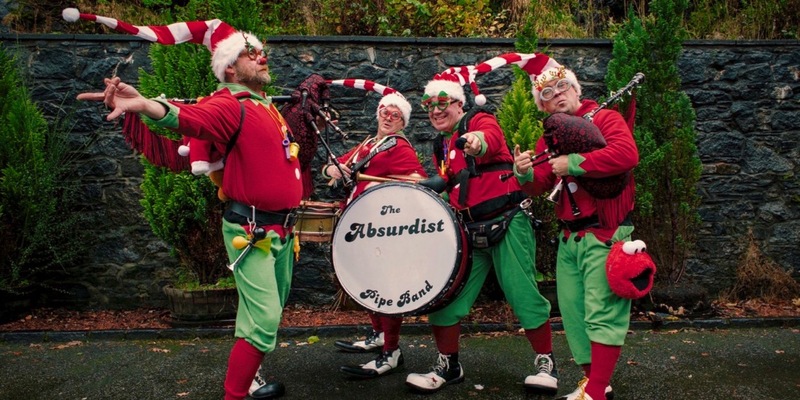 Please explore our site to find out more about us, to see how handsome we are, to watch us in action, to find out where you can catch us and to get in touch.